The summer solstice happened last weekend, officially marking the beginning of summer. Many people ushered in the longest day of the year and change of season with barbecues and days spent at the beach, but that hasn’t always been the celebration style of choice. Throughout history and around the world the summer solstice has held cultural significance to many ancient civilizations, and was celebrated with elaborate festivals and rituals, some of which still happen today. Ancient Greeks viewed the summer solstice as the first day of the calendar year. It would also mark exactly one month before the Olympic Games would be opened. This was all celebrated with many festivals with the most notable being the Kronia festival held in Athens. Kronia was dedicated to the god Cronus, the father of Zeus, who represented the harvest and an age of prosperity. 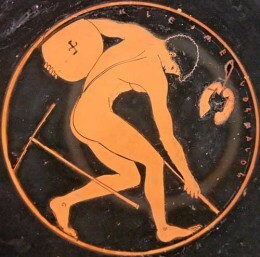 The festival itself was known for flipping the status quo of ancient Greece on its head and included slaves in the festivities as equals and sometimes superiors. Ancient Romans dedicated the summer solstice to the Roman god Vesta who was worshipped as the goddess of the hearth and the guardian of Rome. The solstice was spent by making offerings such as bread, wine, oil, and animals to Vesta’s shrine in hopes of pleasing her and gaining her guardianship for another year. Near the end of the solstice, the shrine would be thoroughly cleaned as a means of spiritual cleansing. The summer solstice was considered to be an unlucky time and no business was done or marriages performed until after the shrine had been purified. 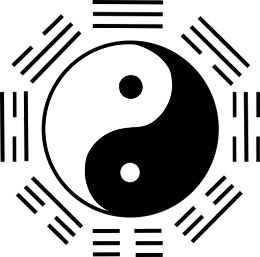 For the Ancient Chinese the summer solstice was a time to honour the concept of Yin, which is represented by femininity and the Earth, through festivals and family gatherings. During the winter, they would celebrate Yang which is recognized as masculine and represents the heavens. Ancient Slavic pagans would create massive bonfires during the summer solstice and couples would jump over them in order to predict how high the crops would grow during the harvest. The higher a couple would jump over the fire, the more bountiful the crops would be. The fires were also thought to fuel or recharge the sun so that it may continue to shine brightly and yield a good harvest. The bonfires also had magical properties as they were believed to banish demons and predict the future husbands of young women. Nordic vikings were also believed to have greeted the summer solstice with bonfires and festivals, although they largely used this time to meet and discuss legal and political matters and to resolve disputes amongst themselves. Visiting wells which were thought to have healing powers was also a solstice activity. Today, many people go to Iceland annually to partake in traditional viking summer solstice celebrations. Ancient Aboriginal tribes honoured the summer solstice by performing a ceremonial sun dance. 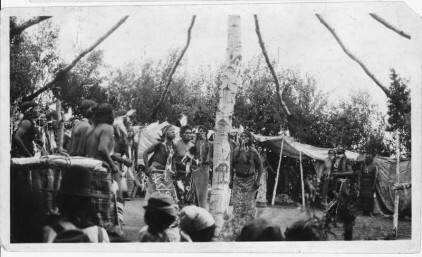 The Sioux was, and still is, known for performing a sun dance around trees while dressed in ceremonial colours. The summer solstice still holds huge cultural significance for Aboriginal people, and because of this Canada has named the summer solstice, June 21st, as National Aboriginal Day. There are celebrations held across the country, some lasting as long as five days. The ancient Mayan city of Chichen Itza in Mexico is known for its iconic pyramid. This pyramid is thought to have been built to mark the passage of time as it would cast triangular shadows according to the sun’s position in the sky. The shadow positioning varied depending on the season. During the summer solstice the pyramid is half in shadow and half in sunlight, marking the changing of seasons. It has not been proven that the ancient Celtic Druids actually observed the summer solstice or held any kind of celebration, although many believe that they did hold festivals to mark the occasion. However, these festivals were not necessarily held at England’s Stonehenge, the most recognized Druid structure worldwide. Festivals would have been held all over the British Isles although modern Druid celebrations that mark the changing of the seasons are held at Stonehenge to this day. With all of these different ways to celebrate the beginning of summer and the longest day of the year, what is it you like doing the most? With the mountain of ideas and options available, we wouldn’t blame anyone for preferring to just sit on a patio with some friends and family, drinking tasty chilled beverages.